Thank you so much ...ur awesome! It's so beautifull! ! ! I use it, thank you so much! It's just a picture. So you open it with your software. can i use this for my manga? This is cool but how do I use it? 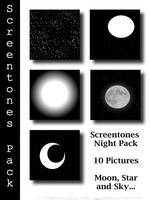 -.- (lol) no, I meant, how do I add your screentones to photoshop? I do not know, I do not work with photoshop. Sorry. It's okay. ^^ thnx anyway. I really like your screentones, lines, etc.! Really sorry I hope you find a solution to your worries. The stock is self-service, have fun. 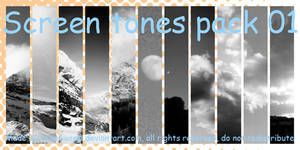 I love your tones! I'll credit you for any I use and I'll send links! They're all amazing!! Enjoy, There are many more! Thank you so much! I will be using them on my manga! Thank you But just a link for the credit please.